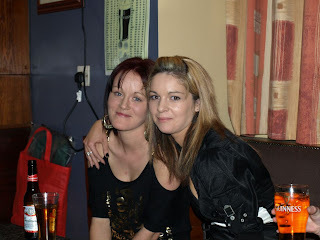 On Friday the 18th of December the Boyle and District Angling Club held our annual Christmas party. It was a enjoyable night and a great time was had by all. The club would like to thank Clarke's Bar and Restaurant for providing top class food and a great atmosphere for the occasion. Once again there club would like to extent everyone who was involved and took part in club activities over the year a Happy Christmas and a Prosperous New Year. SEASONS GREETINGS FROM BOYLE AND DISTRICT ANGLING CLUB. 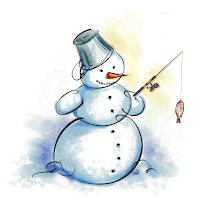 Boyle and District Angling Club would like to wish everybody involved with the club a Happy Christmas and Best Wishes to all for the new year. 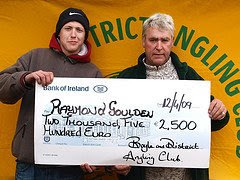 2010 will be a special year for the club as we will be celebrating 30 years of angling and social activities since the club was formed in 1980. 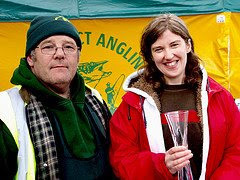 Plans are already being put in place for the highlight of the angling year which is our annual Easter pike angling competition, which takes place on April 3rd and 4th 2010. A full calendar of events for the forthcoming year will be posted by mid January. Further details will follow as events unfold, Watch this space. Boyle and District Angling club AGM was held in Tawnytaskin school on Wednesday 16th of December. The committee that served in 2009 stood down and the following are the elected officials to the club for 2010. Vice Chairman - Tom Commons. Vice Treasurer - Billy Reid. Safety Officers - Shane O Dowd, Martin Suffin and Tom Commons. 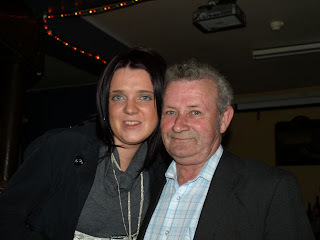 Ann Conroy would like to thank all the members of the Boyle and District Angling club who offer condolence and support during the difficult time of the death of her sister Mary Fallon nee Calpin. The Boyle and District Angling Clubs AGM will now take place on Wednesday the 16 th of December at Tawnytaskin school. This change of date is a mark of respect to Ann Conroy on the death of her sister Mary. While out and about i got some pictures of the recent flooding that has effected some of the local areas. Click Here to see more. 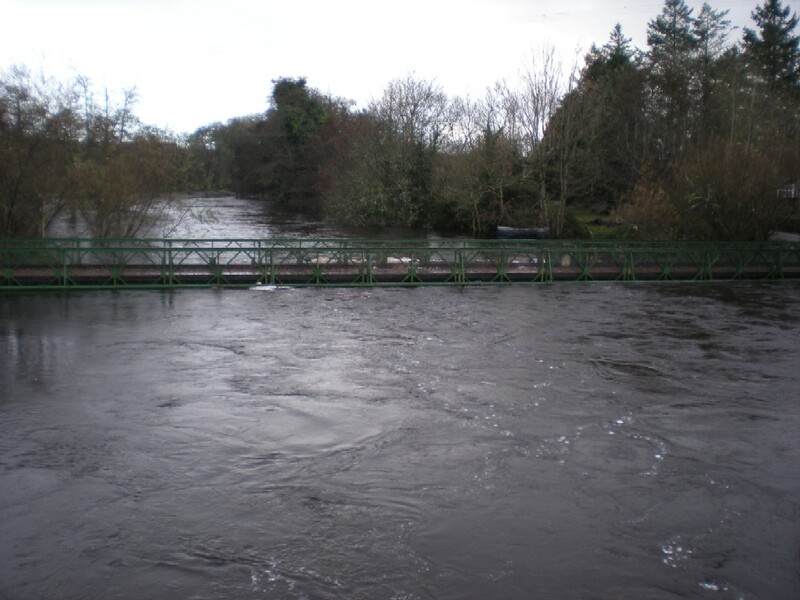 Boyle and District Angling Club will hold a meeting on Wednesday 18th Nov 09 at 9:30pm in Clarkes. The club will hold its Annual Christmas Dinner on Friday 11th Dec 09 in Clarkes. Anyone interested in attending please call Jane on 086 8301261 as we need to know numbers. The presentation of the Anglers of the Year League will take take place at the christmas dinner. 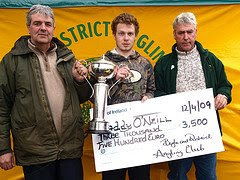 The AGM of the Boyle and District Angling Club will take place on Wednesday the 9th Dec 09 at 9 pm in Tawnytascal school. For further details contact Jane on 086 8301261. Finally the club will hold its Annual Charity Competition on Sunday 3rd 2010, on Lough Key further information will follow. The Paddy Kelly Perpetual Memorial Cup. with entry fee at €15. Entries will be taken at Templeronan pier from 10am, and presentation in the Hydeaway Bar, Elphin St Boyle at 9pm. 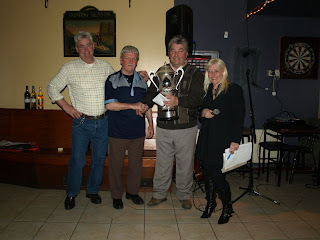 The Clancy Cup was held last week with the presentation held in Clancys Bar. 3rd Miles Quinn, weight 3lbs 12 oz. Angler of the Year, scheduled for a date in November to be announced soon. 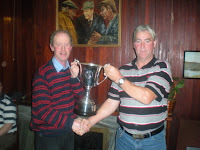 Boyle & District Angling Club will be holding an open Pike Angling competition for the Martin Mitchell Perpetual Memorial Cup on Saturday August 8th on Lough key. Times : 2pm - 8pm. All proceeds are in aid of Mayo/Roscommon Hospice. 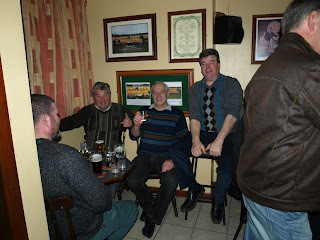 Presentation of Prizes and also an additional fundraising draw will take place in Daly's Lounge/Bar at 9.30pm. Billy wins the Mayfly Cup! 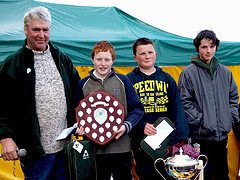 Boyle & District Angling Clubs Annual Mayfly competition was fished two weeks ago. 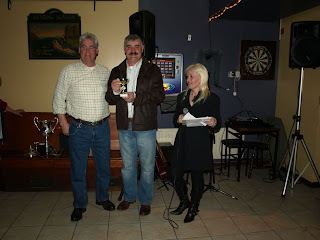 Billy Reid caught the biggest fish of the day, a fine trout weighing over 4 pound, thus winning the Odbert Cup. Also shown is joe mulrennan with his trout of the day. 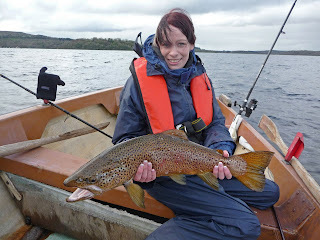 Easter Pike Angling Festival - only two more weeks to go! 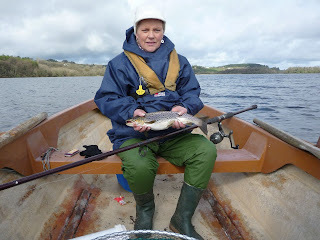 Once again we are due to hold our annual Easter Pike Angling Festival and as usual this is set to be a great angling event and a fun weekend out at Lough Key, Boyle. Prizes to the value of over 10,000 recession -beating Euro are waiting for the winners. All usual facilities and entertainment such as our own BBQ and refreshments stand, Fishing tackle stands, Partytime DJ plus a few new additions are going to be set up at the Doon shore, Lough Key, Boyle over the Easter weekend. 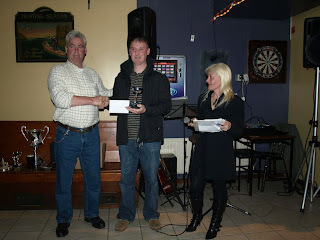 1st prize for the overall winner Euro 3500.- + Moonstone Jewellers Perpetual Cup for the heaviest fish! 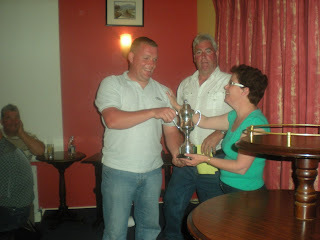 The Paddy Sharkey Perpetual Memorial Cup was held yesterday on Lough Gara. The winner was local man John Keenahan with his cracking fish of 23lbs. 8oz. 3rd: Patrick Egan (Boyle), 12lbs 6oz. 4th: Bodo Funke (Boyle), 10lbs 6oz. 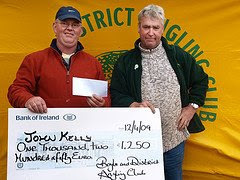 Joint 5th: Declan Conroy (Boyle) & Ray Gillen (Cliffony) 9lbs. 7 oz. 6th: Mick Flanagan (Mullingar) 7lbs 6 oz. 1st: Lucy Garvin (Boyle), 12lbs 4oz. 2nd: Helena Mulligan (Ballyglass)1lbs 8oz. 1st: Gary Nicholson (Boyle) 3lbs. 2nd: Daniel Quinn (Boyle) 2lbs.4oz. Well Done to all of the competitors. 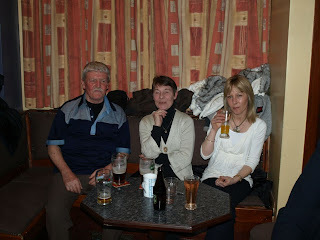 A good night was to be had afterwards in Scanlons Riverside Bar were the presentation took place. 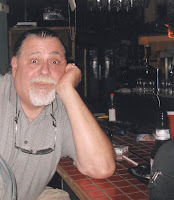 A special Thank you goes to Gerry Quinn and all his staff at Scanlons' Riverside Bar for their hospitality. Also Thank you to the Sharkey Family for all their input into this event once again. 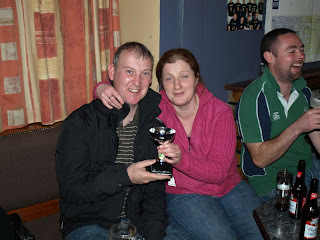 And as was mentioned last night, Congratulations go to Martin and Jane Suffin on their 25th wedding anniversary. 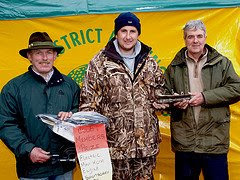 Boyle & District Angling Clubs annual Charity pike angling competition will be held on this Sunday 1st of February 2009 on Lough Key. Fishing from 11am to 4pm. All proceeds will go to the Special Olympics Ireland / Roscommon area. We hope for a good turnout to support this worthy cause. A special big thank you goes to the pupils, parents and teachers of St. Josephs National School in Boyle who supported our fundraising with a "No Uniform Day" on Friday. Pupils from each class and the headmaster of the School presented members of the Committee of Boyle & District Angling Club with their much valued contribution towards the fundraising for Special Olympics Ireland/ Roscommon area, during the day. 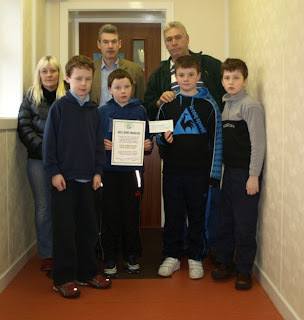 As a sign of appreciation for their efforts, the Club presented the pupils of the school with a certificate granting junior membership of Boyle & District Angling Club for the year 2009 for each of them. All pupils will receive their membership cards in due course. Again Thank you and Well Done!!! Boyle & District Angling Club are holding their Annual Charity Pike Angling Competition on Sunday February 1st on Lough Key. 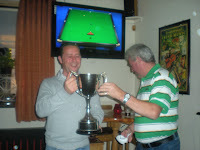 On February 15th the Club will be holding the Donnellans Cup on Oakport and Drumharlow Lakes. More details soon. 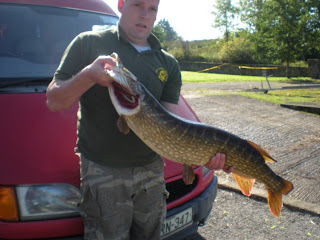 And as usual we will be holding our famous Easter Pike Angling Festival over the Easter Weekend (Saturday and Sunday). This is one of the biggest Pike Angling Competitions in Ireland with fantastic prizes waiting for the winners. more details soon.